"We haven't done a whole lot while we've had an interim [director] on board, just because this is something that your permanent president and CEO needs to be plugged into and on board with," said Mary Newsom, board chair at CMH. "You don't want to be doing stuff where the new person comes in and goes, 'Holy cow, why did they do that?'" Now it appears the museum may be able to move forward with the project, as it recently named Peninger's replacement. On Monday, November 6, the museum announced Adria Focht will be its new director and CEO. 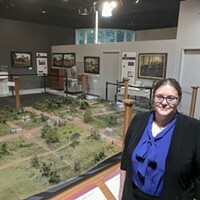 Focht currently serves as curator and director of the Kings Mountain Historical Museum. She'll begin her new position at CMH November 27. In a statement sent to Creative Loafing the morning after her appointment, Focht was supportive of the museum's efforts around Siloam School. "One of the things that attracted me to The Charlotte Museum of History is its commitment to telling Charlotte's story from multiple perspectives and to preserving the material heritage that speaks to that rich history," Focht wrote. "I know the museum's board remains strongly committed to the Save Siloam School project and to the ultimate goal, which is to preserve the school in a way that best protects it for future generations." Though it's unclear exactly what year the Siloam School opened, attendance budget records exist for the 1922-23 school year. 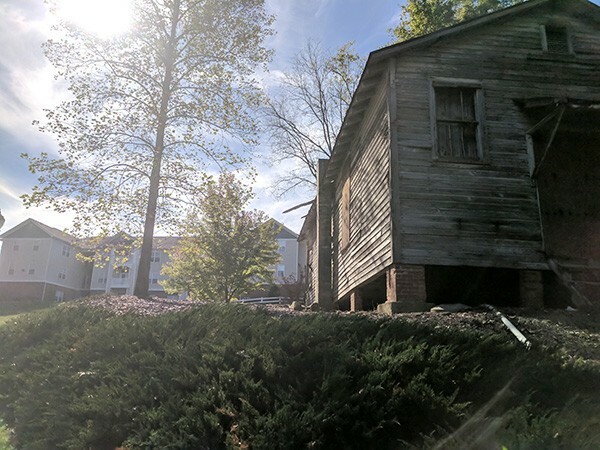 According to the Charlotte-Mecklenburg Historic Landmarks Commission, former students have said the school was built in the early '20s to replace a log cabin schoolhouse built there earlier in the 20th century. The story begins in 1890, when African-Americans in what would become University City began fighting for control of their schools. A petition by the "Colored Citizens of Mallard Creek" was brought before the Mecklenburg County Board of Education calling on the board to appoint a "committee of colored men to look after the interests of the colored school in said district," adding that "the present committee of white men fail to take that interest in the welfare of their school." Although the second Siloam School was designed based on a Rosenwald School model, it was not paid for by the Rosenwald Fund. It is not known who paid for the school's construction, but it is believed that, as with many Rosenwald Schools, the community came together to help raise money and resources for the school, perhaps in conjunction with the nearby Siloam Presbyterian Church. It's this tale of persistence and sacrifice that makes Siloam's story so important to keep alive in Charlotte, Newsom said. "I think schools like this school tell a really important story that has not been told very well in Charlotte, or anywhere in the South really, which is the degree of persistence and dedication and community spirit that went into the building of these schools," she said. "The story that needs to be told is the dearth of available public education for African-Americans living in rural areas in the South. And this tells a story of the drive and determination to get an education in an era when segregation was hardening." On Monday, October 30, more than 60 people gathered at the museum for a fundraising dinner to help support Save Siloam School. Speakers including Charlotte historian Tom Hanchett and Marshall Washington-Cabiness Abuwi, the great-grandson of Booker T. Washington, shared presentations about the Rosenwald Fund. One woman yelled out, "That's my school!" before breaking into tears after seeing a picture of the Old Salem School, a Rosenwald School she attended in Anson County. Young, now 92, attended Siloam in the 1930s. He doesn't speak much on those years today, but agreed to share his story with Creative Loafing through his wife, Vera Duncan Young. After the school was shut down, Young's father, who was a janitor at the school, bought the property and turned it into a home. In 1973, Young purchased the property from his parents and turned it into an auto repair shop. Stories differ on how long he ran the auto body shop, but his wife said he shut it down when the floor began to sink. The Youngs' niece, Alfrida Barringer, attended the fundraising event and spoke about the importance of Siloam's history and how the Save Siloam School event put things in a different light for her. "They valued that experience of being able to go to that schoolhouse, taking time off from the fields where they picked the cotton, and still get an education," Barringer said. She added that her father walked miles through the woods every day from Highway 29, now North Tyron Street, to a nearby Rosenwald School, Newell, on Old Concord Road. "All of that, to me, has more value tonight, sitting here listening to what, to me, was just part of my family's history, and places that we came from as rural folks in Mecklenburg County." For Vera Young, 87, watching her husband be recognized October 30 was an honor and a justification of why it's important that Siloam School remains intact and resumes its educational use. She hopes others can carry on telling the stories that her husband has since stopped telling. "I think its very important. 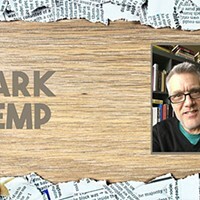 It will bring back the memories and let the younger people know how hard it was in those days — in the late '30s and the early '40s, on up until the more modern days — what they had to go through to get an education. It was very nice for them to honor him and I think he enjoyed it, but he just doesn't talk much anymore. He's mostly quiet." "When I came out here, I said, 'Man, just listen, there's no way I can't do anything about this. I have to do something,'" Barry said. "It's not to say anything about it being a black or white thing, it's just the preservation of history," she added. "And from what I hear from people, a lot of times they say Charlotte doesn't preserve history, they just tear it down and build." On Thursday, December 7, Barry will kick off the year-long initiative Charlotte's Siloam School: A Restoration Project with a fundraiser event at NASCAR Hall of Fame called The Night of Giving. "At the end of the day, the idea is to align with the museum, and we all have the opportunity to come to the table to make sure that everybody's input is heard on what the museum is going to do with the schoolhouse," Barry said. "But at the moment, the major thing is the funding. We can't do anything if the funding is not there. And that's what I'm trying to do." Thanks largely to Peninger's efforts, the museum was able to get $50,000 set aside for renovations to Siloam School in the city's 2017-18 fiscal budget. Greg Phipps, who represents the university area, lobbied council members to push the budget item through after visiting the site with the former museum director. "You know, Charlotte, we've got a lot of cranes going up, a lot of development going on, a lot of destruction going on, we're not known for our historical buildings," Phipps said. "So I thought this would be a great opportunity to preserve something of significance. 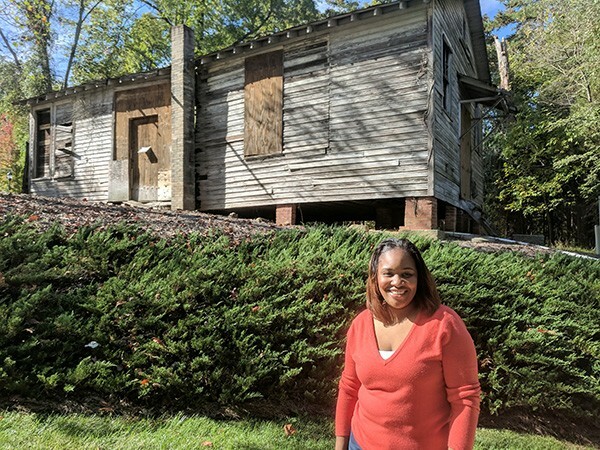 "Not only would I think the African-American community would be interested in something like this, but for our whole educational system, looking from where we've come from, where we are now, how we could use a structure like this that was so integral as a part of history and education back in the day, to try to repurpose it to have it as a structure of educational significance even now with the museum's help." Representatives with Tribute Companies were on hand at the museum's recent fundraising dinner, and said they are willing to work with the museum in any way they can to help move the structure. They discussed the potential to build a playground on the site, which they could sell the naming rights to in order to help fundraising efforts. Moving forward, it appears everyone's on the same team in wanting to ensure a future for the Siloam School building. Barry likes to reference an expression from Peninger, quoted in The Charlotte Observer when she launched efforts to move the school in March. "A community approach built the school and we want a community approach in saving it," Peninger said then. And now that she's not in Charlotte to see it through, the saying only means that much more.